It was quite early in the morning that our day began, traveling down the Neumayer Channel to tiny Goudier Island on which the Port Lockeroy base resides. The skies were heavily overcast, so we did not have an opportunity to see the magnificent surroundings that the Neumayer Channel is reputed to offer. (It looks like the weather will remain poor, so our chance to see the Lemaire Channel in all its glory later today is not looking good either.) Port Lockroy is a “living museum”, a former British base, once abandoned but restored in the 90’s by volunteers of the British Antarctic Survey and now tended by four keepers for this season. Port Lockroy offers a look back at what conditions were like for the Brits who manned this small building during World War II. It has never been revealed by the British Government exactly what they were doing on this tiny island during the war, but it is suspected that they were collecting weather data and making foreys through the area looking for enemy naval activity. I bought the girls a few souvenirs at the small gift shop and relaxed watching the penguins on their nests just a few feet from the small buildings that make up Port Lockroy. 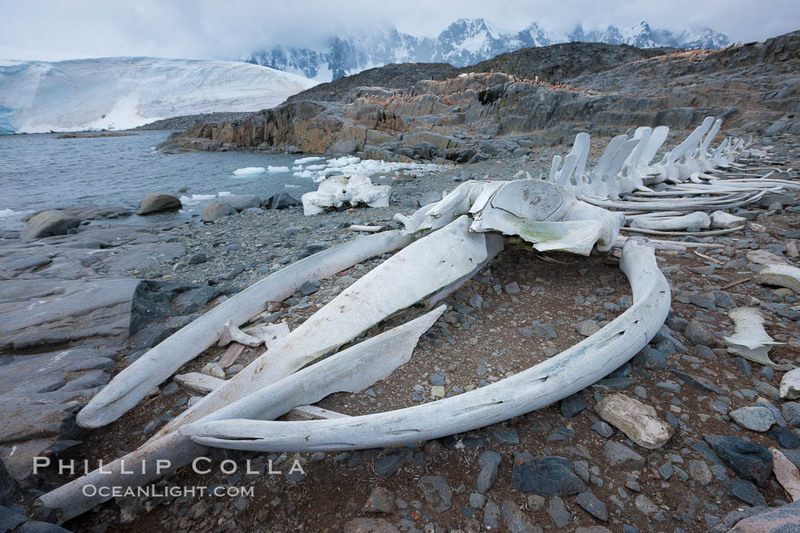 Nearby is another tiny island — Wiencke Island — that we visit to see an old blue whale skeleton, surrounding by yet more penguin colonies. 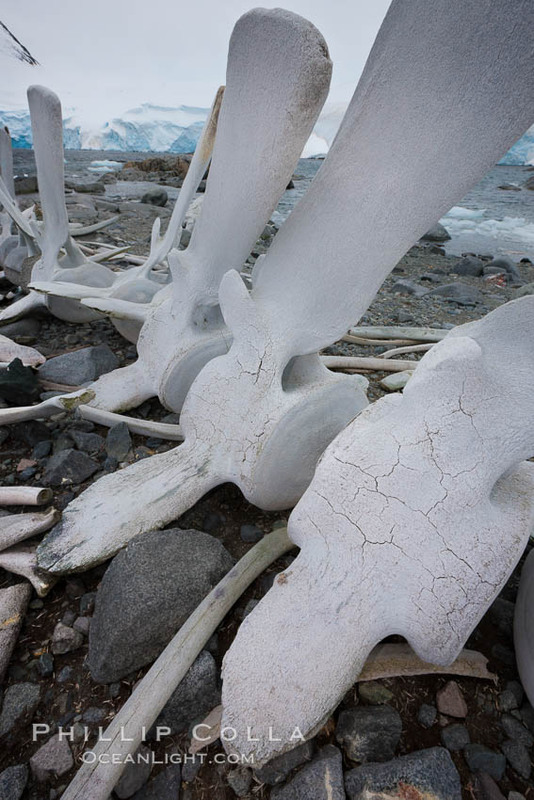 Actually, the skeleton is made up of bones of a number of whale species, including blue whales. Having seen many blue whales near San Diego from my boat, it was nice to walk about this skeleton and admire how large the bones are, especially the jaw bones which, I believe, are the largest bones in the entire animal kingdom. A few penguins walked idly through the assembled skeleton. Winds blew pretty hard and a little rain fell. This particular landing had more penguin aroma than any other in the past several days, and by the time I am done on Wiencke Island my boots were pretty nasty and needed a real cleaning in the ocean before I was able to hop aboard the zodiac for a ride back to the big boat.